If you keep a blog yourself, you know that you can see the searches people use to get to your blog. Almost daily there is a searcher out there who enters “sponge rollers” into their search engine and finds me. They find me because of a post I did on my husband rolling Rose Red’s hair with sponge rollers. 1. Establish your schedule. According to our experience, you’ll need to let your rollers set for a good three hours. Figure out what time you’ll need to take them out and work back from there. My daughter has lots of hair and if we’re rolling her whole head, we play it safe by adding in an hour’s worth of rolling time. 2. Dirty hair is easier to roll than slick, clean hair, so go a day without washing it before you roll it. 3. Work in sections. I make a part from ear to ear across the back of the head, pin up everything above that part, and roll the lowest section first. Then I work my way up in sections from there. 4. Curl about an inch at a time. Spritz your dry one-inch section damp with spray gel (we use Aussie Strong Hold spray gel) and wrap it around your curler. I usually roll back from the face or down from the crown. If you roll your hair wet, it will take much longer to dry and set. 5. Wait your three hours and unroll. It will be very, very curly, but will relax to a nice texture with a little time. 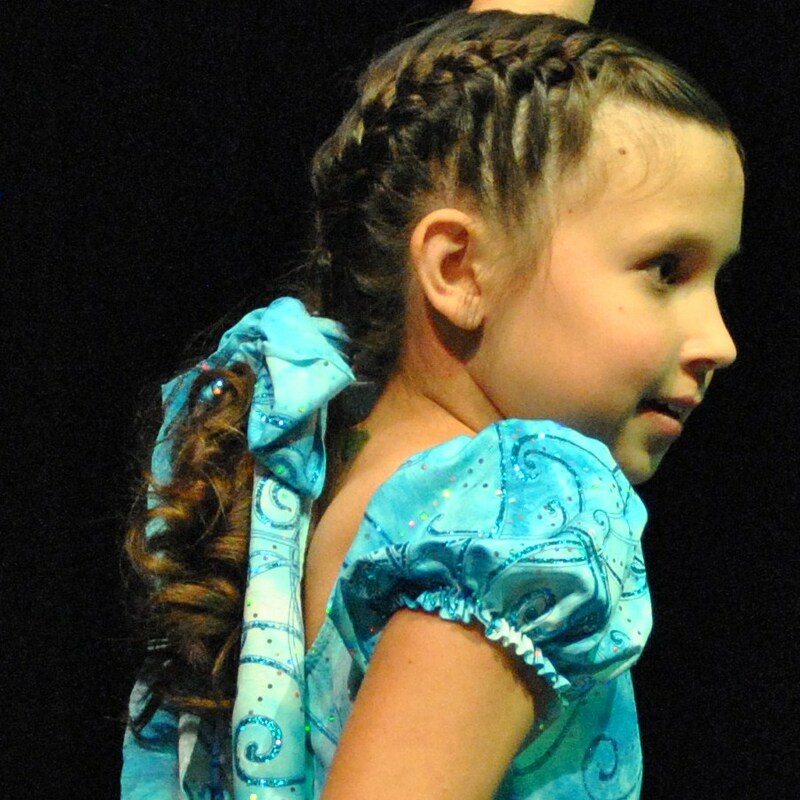 Here are a few curls peaking through at this year's recital. 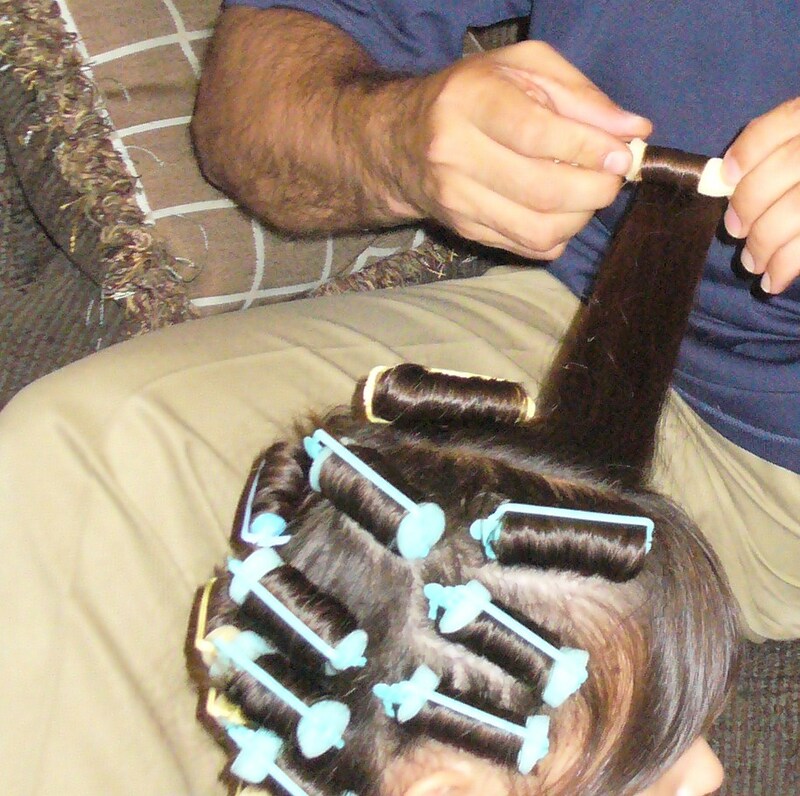 This entry was posted in kids, unplugged and tagged dance recital curls, sponge rollers. Bookmark the permalink.